It takes six to eight brand touchpoints to impress a consumer. First impressions count just as much as the second, third or eighth. Your brand is everything from how you look to how you answer the phone, the signage on your wall, your corporate culture and your website. Make sure each delivers a consistent experience. We built the brand that built a new service for Deaf Canadians. The SRV Canada VRS brand is a holistic experience that embraces Deaf culture and promotes access and opportunity for all Canadians. A uniform SRV Canada VRS brand empowers a historically underrepresented community and is changing the way we communicate in Canada. 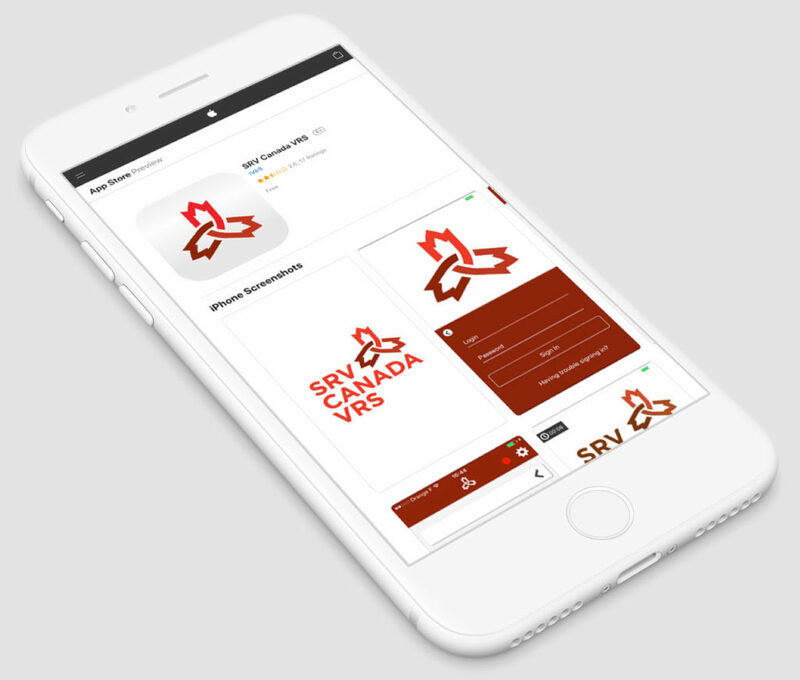 The logo for SRV Canada VRS had to work as effectively on letterhead as it did in the App Store. Every brand, along with its functional benefits, has a “personality”. The SRV Canada VRS brand identity and personality symbolizes the weaving together of individuals. The three leaves in the logo represent VRS users, interpreters and the VRS service. The leaves start out as separate entities and weave together at the centre. SRV Canada VRS is a Canadian service for Canadians. 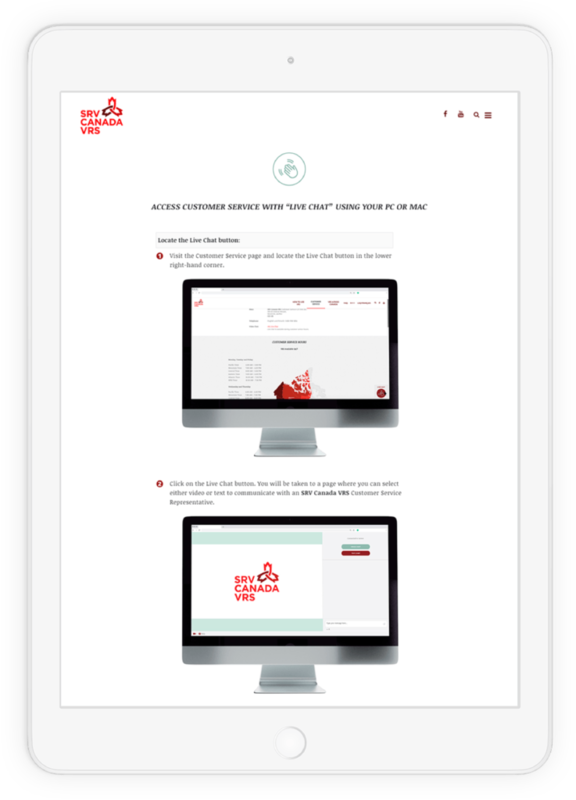 The SRV Canada VRS brand form reminds us of the three points in a maple leaf, which is a symbol of Canada. The range and gradation of red in the logo speak of the diversity of Canadians; hearing, Deaf or Hard of Hearing who SRV Canada VRS empowers. The SRV Canada VRS brand is experienced in the App Store, on the website, in videos and digital media, at community events and on television sets across Canada. 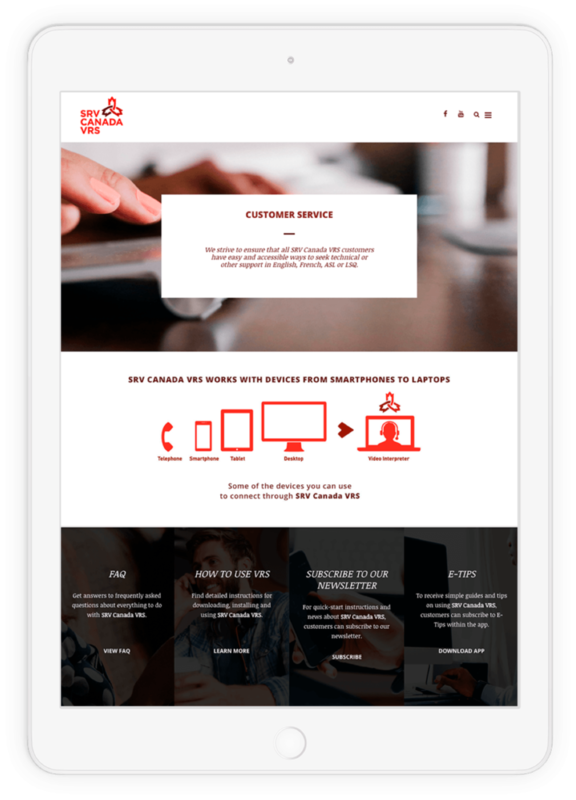 The SRV Canada VRS website’s number one goal is ensuring that audiences have the information they need to use the service. The website provides users with information that is delivered via ASL and LSQ videos, text and graphics. Comfort with technology among SRV Canada VRS audiences varies widely. Instructions about new service features are presented so that all audiences have equal access to the information. Hearing Canadians need to know how to answer when a Deaf person calls them using VRS, so we created a PSA to explain how the service works. Are your brand touchpoints consistent?